Around and around the tree she went, looking for a good place to peck. 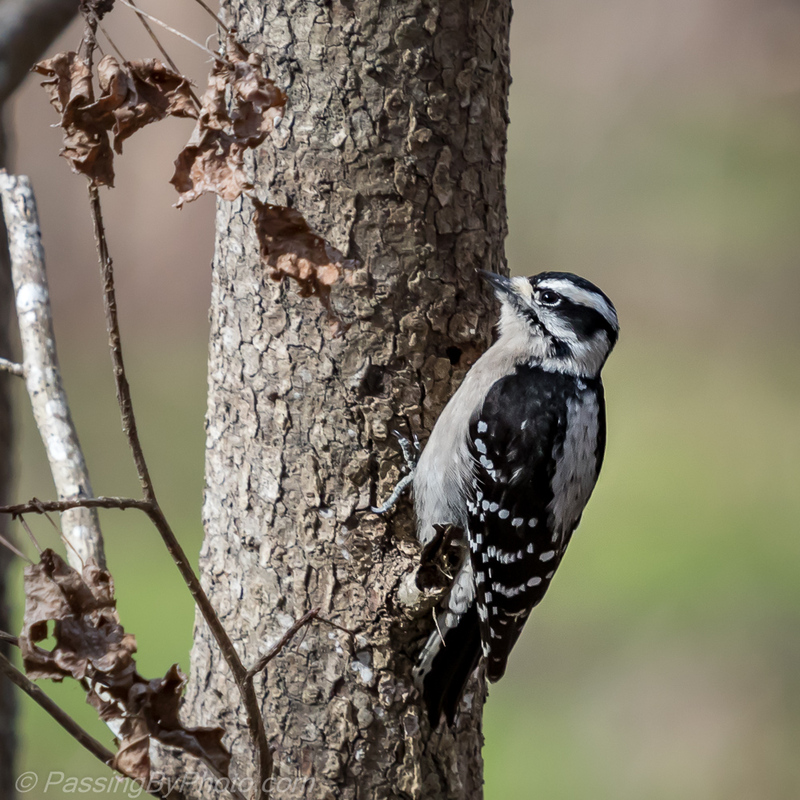 Downy Woodpeckers are striking with their black and white patterns and fun to watch. 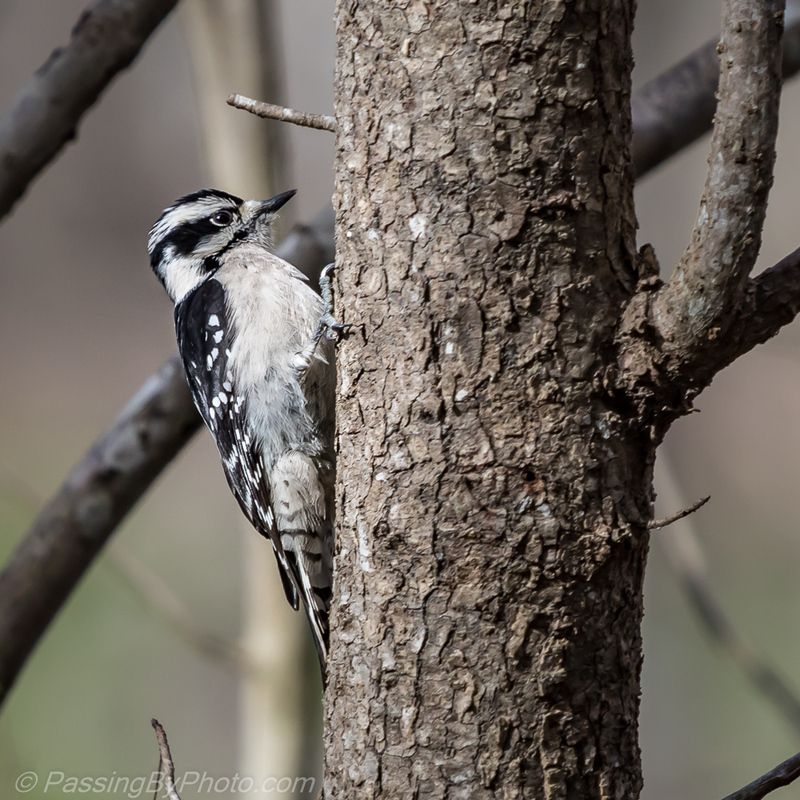 This female seemed small even for a Downy, but she had plenty of zip as she foraged in the tree line at the edge of the swamp. Lovely shots of this sweet little bird. Thanks, Belinda. I do love to photograph the little birds, even if they are elusive.